I live in the Midwest part of the US. We have four very distinct seasons. Spring is when it rains the most, and the flowers begin to peak out of the ground. Summer is hot but the perfect time to spend outside. I love warm weather. Many people find the season of fall to be their favorite. The air is fresh and crisp with beautiful fall leaves all around. The weather is more relaxed and brings with it the hope of Thanksgiving. Winter is frigid with snow and ice but has the promise of Christmas. In spring all things are renewed which make it my favorite time of the year. The dormant perennial flowers begin to show themselves. The rain washes away winter, and I always feel like a new dawn is upon us. Each season of life has a different meaning. Each of the four times is perceived differently for people. Spring is fresh and new. Summer is hot and can be quite sultry. Fall is the flash of color with all things culminating in beauty. Winter is cold with very little sunshine. 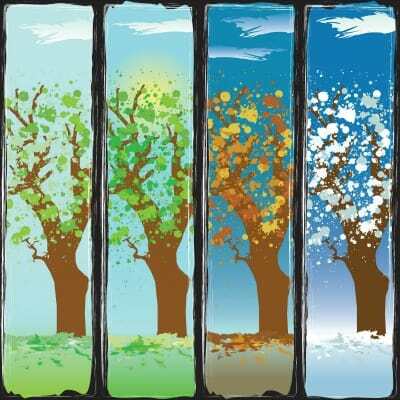 The four seasons represent a time in the seasons of life where change has taken place. 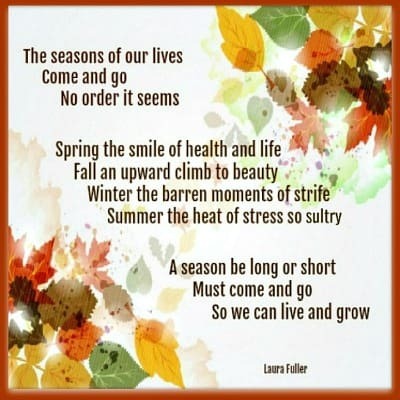 In this poem, I have depicted what each season may mean. Some may feel winter is the best and some may feel summer is. Since spring is my favorite time of year, I view it as a time for new beginnings. The spring in your life may be when you met that someone special. Or maybe it was when you birthed new life and held your baby with love. Your spring could also be a time when you let go of something old and caustic in your life to begin again. Spring is a symbol that pain is washed away with the frequent rains and the beginning of fresh flowers. You may see a fresh start in your future. Then comes the summer, just one of the seasons of life, a time when all things become stagnant. Your new beginnings have fled and may be just an everyday part of your life. It may be the same old thing, or it may be a significant change in your life. Maybe your kiddos have left the nest and your days are hot and sultry. It closes in on you, and you feel smothered. Or perhaps you’re coming to the end of your work life, retirement is just around the corner, but going to work every day is a challenge. You feel scorched and run down. Then fall comes around. All of the old things in your life seem so far away. Everything is colorful, and beauty surrounds you. Your life has taken a new breath because you have moved on. You have dealt with the old and are now looking forward to the change. Maybe you have learned to love yourself, or you have forgiven yourself for parts of your past. Life is crisp and clean. Thanksgiving is coming with family and forgiveness all around. Winter is a two-fold story of the seasons of life. It can be cold and dreary, or it can be a new cleansing time. 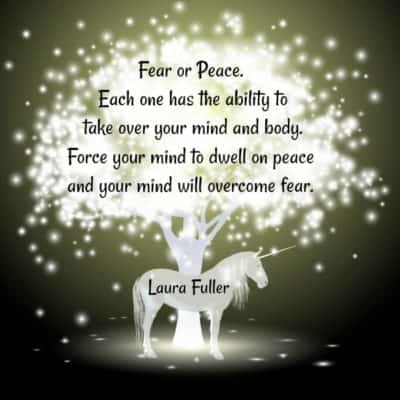 It will manifest as both depending on how you see life and what the situation is. It cold and dreary when you feel lonely and gloomy, and you have lost hope. The sun is no longer shining in your life. You have lost a loved one, or maybe you have lost your stamina for life. The cleansing time may be when you are starting a new chapter, and you are trying to accept a loss of the old one. The snow is falling and freezing out of your former life. It might feel like cleansing to you. The freezing temperatures of winter kill the germs and bugs from the past season. In winter you have Christmas around the corner which lifts your spirits for a bit. The previous season has been a hard one for you. The winter snow comes to blanket your life in white as you sit in front of a warm fire and contemplate how life has changed. You have lost so much this past year and now is a time to heal. The changing of seasons in our lives moves swiftly through each moment. We may be in one season only briefly before we move to the next or we may linger in one time longer than we wish to. The seasons of life are not four distinct time frames as the seasons of time are. You can see what season you are in, but you can not control what happens to you. You can, however, control how you act and react to what happens to you. But no matter what season of your life you are in there will always be change. Change is necessary to help us grow and become more of the person we wish to be. To improve ourselves we have to evolve and move forward. Not everyone moves forward. Some get stuck in a season — a time in life where they cannot keep going. Stagnation is unhealthy and causes the inability to grow. 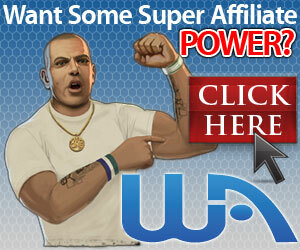 When this happens help from someone outside our circle of friends and family may be required. I am here today not to ask you to get help but to help you see how the seasons of your life are essential for strength and survival. And to let you know that we have to go through all seasons to become a well-rounded person. The seasons of health and beauty, strife and stress are inevitable. The four stages just like the four seasons in our life are new beginnings, sultry times, fresh air and renewing from the hard freeze. 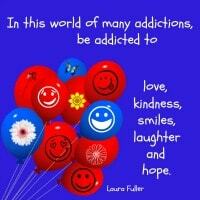 All are critical to our well being. I encourage you to roll with it and embrace each moment. Whether it is right or wrong happy or sad, it is vital for you to allow these moments to help you grow until the next season arrives. Some really good thoughts. Life does change. We go through periods of rain and become somewhat depressed, but the sun always shines again. During the winter of our life we need to think positive and feel what life will be like when spring comes. As humans we have to think why not think positive even in bad times? Hi Ray! Yes, we will have good times and we will have rough times. But if we can look forward with a positive attitude we will make it. Change is inevitable. It is always so good to see you here. Thank you. Life is changing seasons. I am remembering Jim Rohn’s speech as I read through this blog post. Seasons can not change or rearrange. But as human, you have the ability to change yourself. You can go wherever you want. Do whatever you want. The 4 seasons teaches you spring follows the hard winter. Difficulties follow success. You will not be dark always. Even the darkest of nights sees the light of the morning. This post reflects the awesomeness of changing seasons. Thank you so much. I will have to listen to Jim Rohn’s speech. It sounds like it is very encouraging. Thanks for taking the time to write this. I now feel so inspired by your words. I also have a depth understanding of what each season means and how it reflects in our individual lives and to always embrace it. Thanks once again for sharing this priceless piece of art, I’m forever grateful. You are so welcome. I am so so happy you have found value and an uplifting in the analogy of the changing seasons. The season of summer is sultry and can be smothering. I don’t know why you feel this way but it is so good to move on when we are in a season that is stifling. thank you for the compliment. I do have a number of posts on here that may help to lift you up during your difficult times. Please feel free to browse the menu. This is so interesting. I never thought of our lives as seasons. I can totally understand your perception of the seasons, but when I started to think about them, I looked at Summer as the best seasons and Fall and Winter as more “down” seasons. I’m glad that I read this article, it gave me a different outlook. I’m now thinking that you need to move through the seasons instead of just getting “caught/stuck” in one season. Yes, Nancy, each season means something different to each of us. Moving through them is the way to grow and improve our lives. Staying in one season is not healthy. I do hope you get to visit us one day. Experiencing the 4 full seasons is a sight to behold. Life is a continual set of changes. We learn from each season in our life.